When a Massachusetts police officer pulled over a driver for speeding, she found the woman crying. She had just found out her mother was being moved into hospice care. After issuing the driver a warning, Somerville Officer Ashley Catatao couldn’t stop thinking about her. 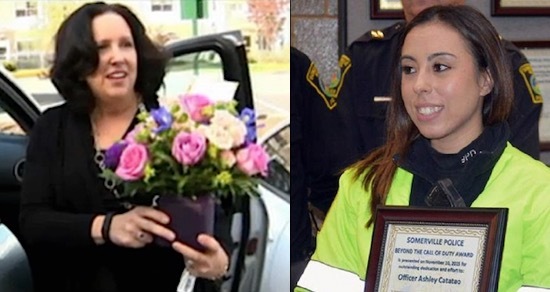 For her kindness, the officer was honored by the mayor and police chief with a Beyond The Call Of Duty award.